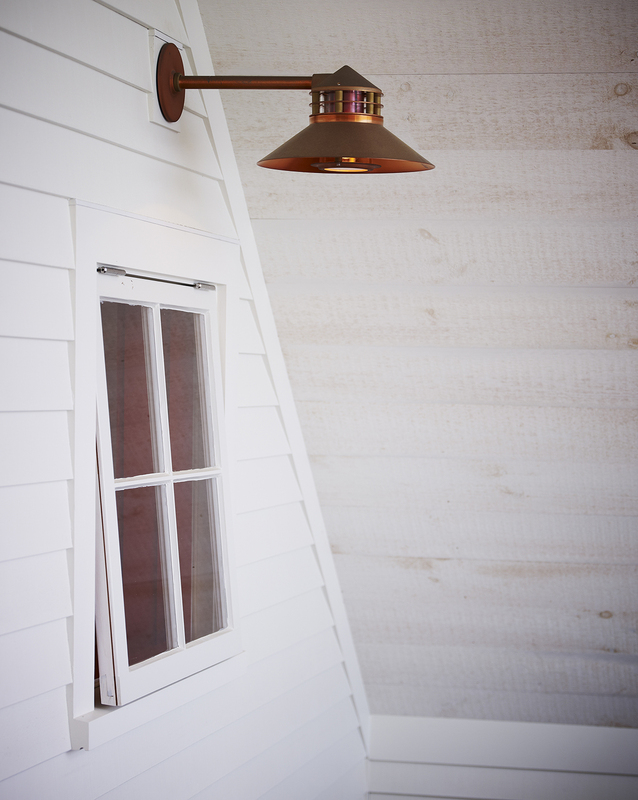 The original barn building was salvaged, moved and underwent a major renovation. 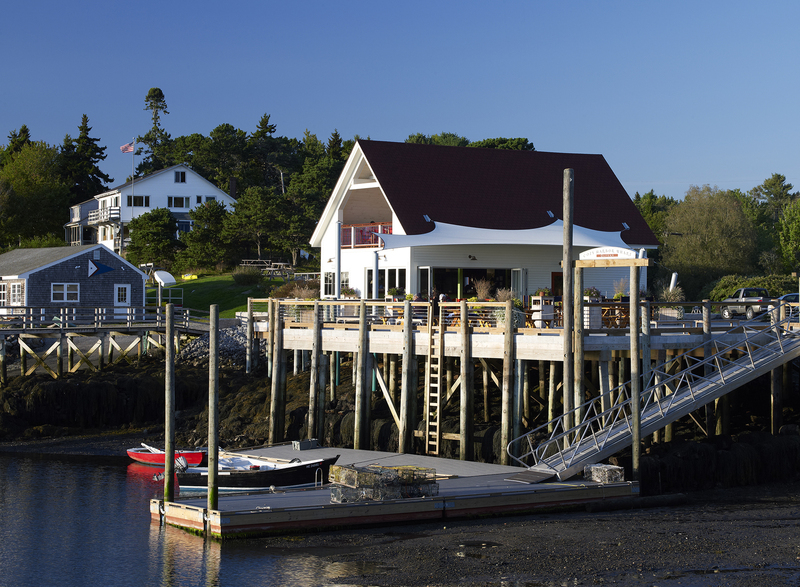 Several old additions, including one that housed a bowling alley, were demolished to make room for a new 4,500 square foot commercial pier, one of just a few wharves in the area open to the public for both fisheries and recreational uses. E.W. Pratt General Store and Merchandise was opened by Gus Pratt and his wife Emolyn in 1948. Many years later, the store closed and fell into disrepair, until a generous benefactor and Cozy Harbor resident had a dream of bringing it back to life. 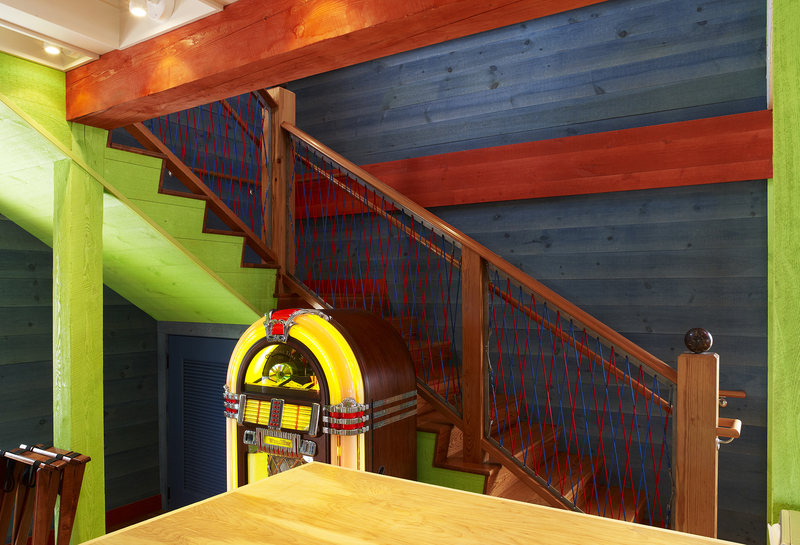 The old bowling alley was re-purposed to make the dining room tables and a long sweeping bar. 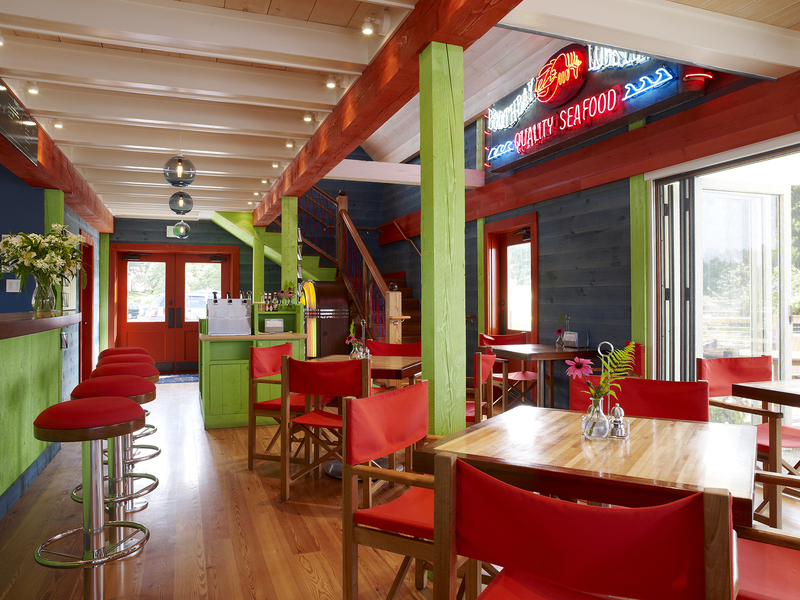 The fresh and colorful ‘retro-nautical’ interiors were inspired by a Caribbean restaurant. 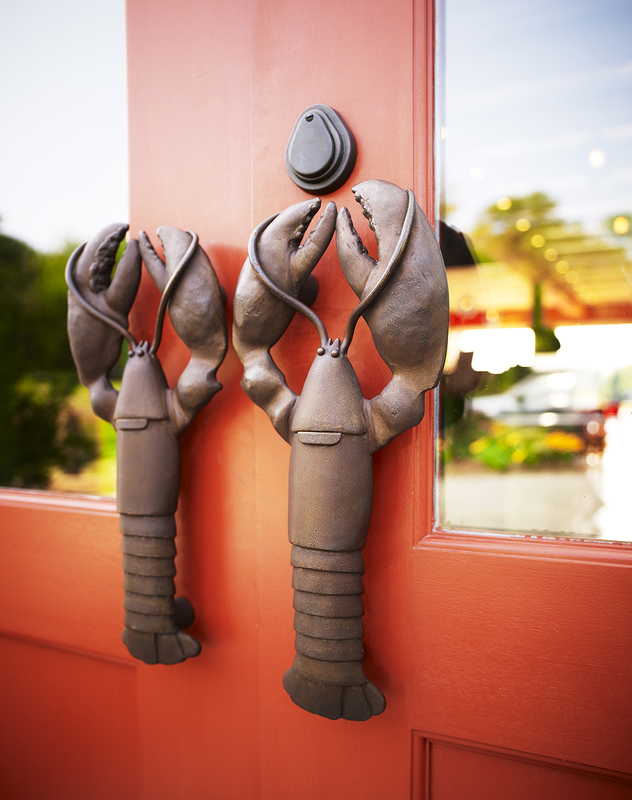 Surprisingly, the neon “Boothbay Lobster” sign was salvaged from a restaurant in Texas! 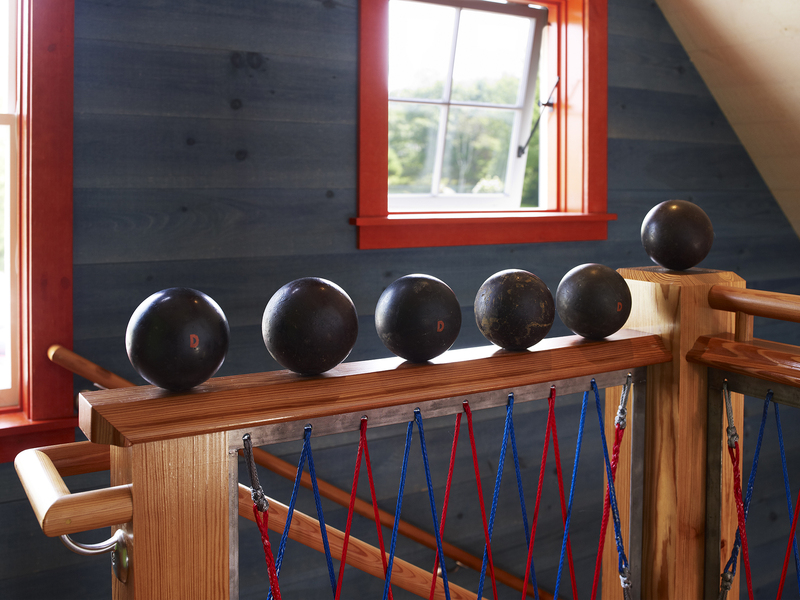 Once used for candlepin bowling at “The Alley”, the old bowling balls now serve as handholds on the upstairs railing. 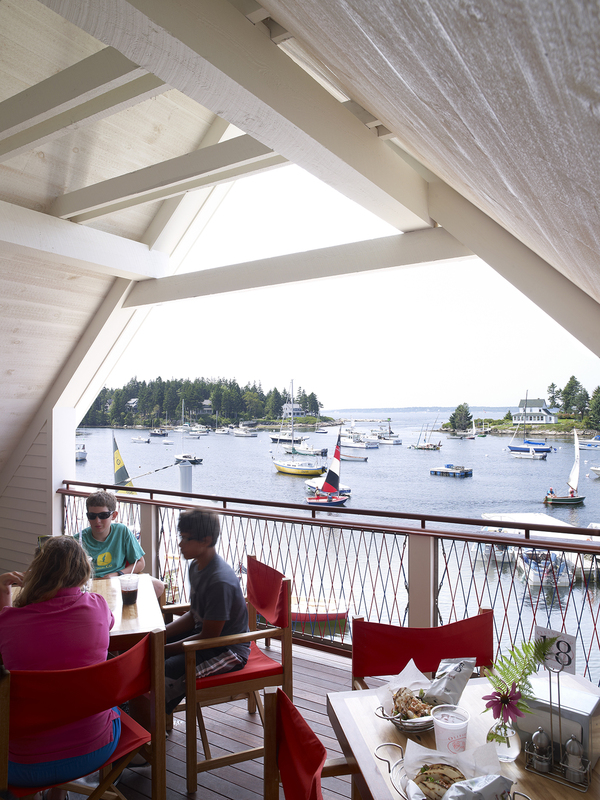 Whether you share a picnic table on the pier, relax in the screened interior, or – best yet – grab a seat on the 2nd floor porch, the views of Cozy Harbor just can’t be beat!